Some of the things listeners have come to expect when listening to The Blast and The Blast Blender are: high quality streams, bit rate choices, and accessibility. We thought we had all the bases covered, with bit rates from 128 kbps down to 24 kbps, using the AAC+ codec at 24 kbps, which is light years better in sound than a 24 kbps mp3.stream. However, we were recently informed by a passionate Blast and Blender listener named Rayhan, in the south Asia country Bangladesh, that he has an "ancient" smart phone (built in 2005) that can only play certain kinds of mp3 streams. He also said that he needs a low bit rate stream, as mobile bandwidth is very expensive in Bangladesh, and he says the mobile internet is slow there. So despite the low sound quality of this bit rate and codec combination, we have set up a 24 kbps mp3 stream for Rayhan and others who are in a similar situation. 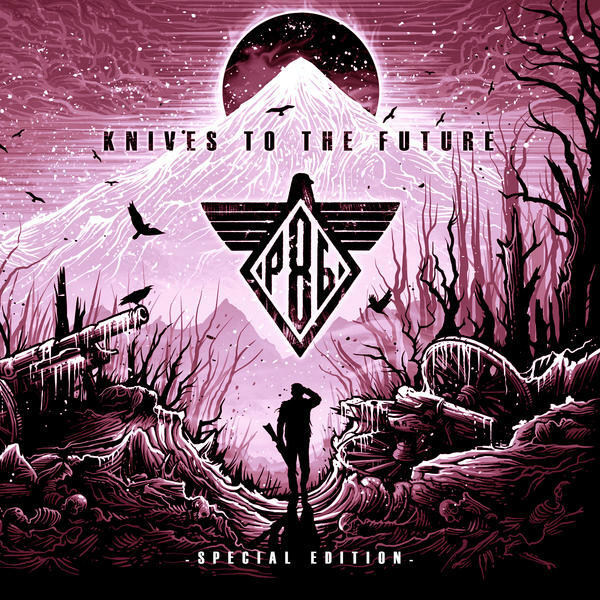 Project 86's new album "Knives To The Future" releases today.